Congratulations on forming the government in New Delhi. I sincerely hope that you have a laser sharp focus on not only delivering on the promises made to the people of Delhi but sustaining them over a period of next five years. I was extremely impressed with AAP’s strategy to start small and focus only on Delhi Assembly elections when the party was formed. I was also impressed with the way teams of volunteers were formed to focus on each constituency so that their unique issues could be identified and targeted solutions could be found. 1. AAP has been very diligent in picking its leaders/candidates to make sure only people with clean backgrounds and clean intentions are recruited, but this will be extremely difficult for the core committee to make sure of when you have to look for 100+ candidates in less than a couple of months. I am sure you remember the case of Mr. Pritpal Singh Saluja, from whom you had to withdraw support just before the Delhi Assembly elections because he had failed to reveal about an FIR and a criminal case against him in Lucknow. Technically he may not have done anything illegal by not disclosing it and the party may not have had a way to know about it before his nomination was filed but this case just goes to show how easy it would be for someone with vested interests to project a clean image but carry other agendas which could push AAP a few steps back. 2. I would like to see AAP forming a government at the center with complete majority to implement its anti-corruption policies without any hindrances. However, with such a short period left before the Lok Sabha elections, it is highly improbable for us to achieve a full majority. In such a scenario, our country can witness a hung parliament which might open the doors for a third front. This will only lead to instability and will help neither AAP nor India. 3. You are well aware of how long it took you to get RTI passed and then to generate international level support for the Jan Lokpal bill, so I am sure you understand that reforms or changes in the political system of such a large country like ours cannot happen overnight. The good governance processes have to be followed day in and day out for years before we can see some change which is sustainable beyond the term of one government. 4. 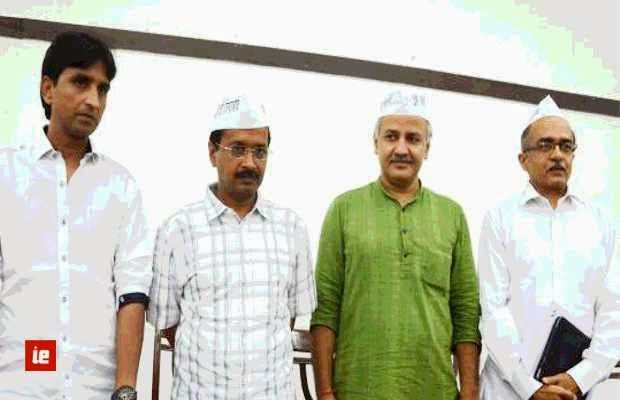 I haven’t seen or heard of a second string of AAP leaders which means the members of the core committee, some of whom are also ministers in the Delhi Government, will have to spend a lot of time strategizing, implementing ideas, campaigning and fund raising for the general elections 2014. This might take up a lot of their time which would otherwise be spent on doing their work as ministers/MLAs of the Delhi Government. Mr. Kejriwal himself has said that he will campaign for the Lok Sabha elections, if he does that, do you really think he will still have the time to do his job as the Chief Minister of Delhi? Please keep in mind that we are not talking about how some other CMs do their work but we are talking about a new kind of a CM who wants to lead from the front for the betterment of the common people of Delhi. These are some of the primary reasons why I believe jumping into the foray of fighting Lok Sabha elections too early will not only fritter away the ripple effect you have created but will also reduce focus on delivering results. In all earnest, I request you to abstain from contesting Lok Sabha elections in 2014, deliver the promises made to the people of Delhi (and sustain them for five years), repeat the model created for the Delhi Assembly elections into other states and then target Lok Sabha elections in 2019. I am sure if the Aam Aadmi Party follows the path of slow and steady growth, we will see monumental changes in the way elections are contested in our country and the way governments work but, for all of this to be achieved, the success of Aam Aadmi Party needs to be sustained.